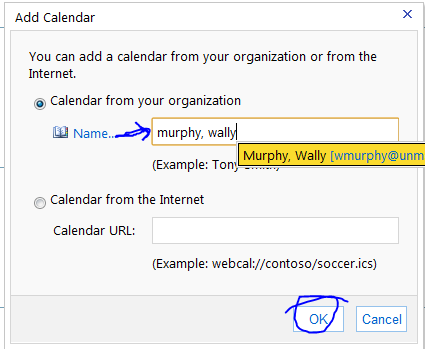 To open your calendar in Outlook Web App, click Calendar in the Navigation Pane. 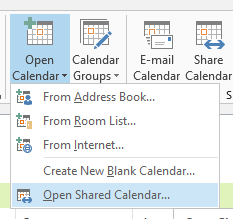 While you’re viewing your calendar, you can double-click a meeting or appointment to open it. After you open an item, you can view details or make changes. If you double-click a repeating item, for example, a weekly meeting, you can choose to open the occurrence (the meeting only on the day you selected) or the whole series (every meeting). For more information about how to work with repeating items, see Repeating Items. In the Day view, locate the first day in the date selector, and then click it. Press CTRL, and then click up to six additional days from any month or year. An appointment is a block of time you mark on your calendar for a specific activity, for example, a lunch appointment, or to set aside time to work on a project. Appointments can be a single occurrence or can be scheduled to repeat, for example, a weekly appointment to prepare a report. Your appointment may be with other people, but will appear only on your calendar. If you want to share an appointment with other people in your organization so that it appears on their calendars in addition to your own, you can Request a Meeting. A meeting is an appointment you share with another person. When you request a meeting, in addition to setting a time and subject, you’ll add a list of attendees to invite. You can also add resources, such as a conference room or projector. If the recipients are in the shared address book, you’ll be able to see their free/busy time. Most recipients will be able to respond to the meeting request by accepting, tentatively accepting, or declining your invitation. Like appointments, meeting requests can be for a single meeting or can be scheduled as repeating meetings. Appointments, meetings, and tasks may be one time occurrences or may repeat. 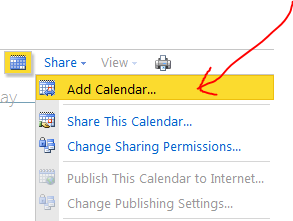 A repeating item is one that appears in your calendar or tasks list multiple times, based on settings you control. For example, a meeting can be configured to repeat weekly. A task that has to be performed monthly can be configured to repeat on the first Monday of every month.